For the first time ever, scientists at the TRIGA research reactor of the Johannes Gutenberg University Mainz have determined the velocity distribution of ultracold neutrons (UCN) emitted by a deuterium ice crystal. "We have taken a big step forward in our efforts to accumulate and store great amounts of these ultracold neutrons to then be able to analyze them in more detail," explains Professor Christian Plonka-Spehr of the Institute of Nuclear Chemistry at Mainz University. Further experiments are planned in order to discover more about the nature and the characteristics of the neutron and thereby provide insight into the processes that occurred immediately after the big bang and in the earliest days of the universe. 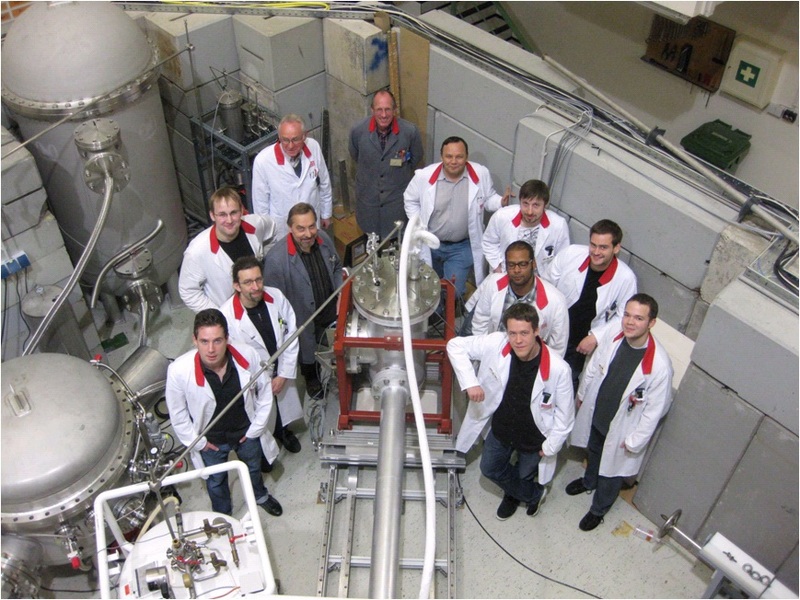 The scientists in Mainz initially managed to generate ultracold neutrons in February 2006 while working in close collaboration with the Department of Physics at the Technical University (TU) of Munich. Since then this field of research has continued to expand. The point of departure for the research is the TRIGA reactor. Neutrons are normally bound to protons in the nuclei of atoms. Free neutrons, i.e., particles that are no longer bound, are generated in the reactor during 30-millisecond pulses, and these travel at an average thermal velocity of 2,200 meters per second. Very close to the core of the reactor, they collide with a block of ice composed of the hydrogen isotope deuterium. The collision means that the free neutrons transfer all of their energy to the deuterium crystal and are thereby decelerated to a velocity of only 5 meters per second - they are then referred to as "ultracold neutrons". These ultracold neutrons are all reflected along a three-meter long extraction tube attached to the ice crystal, rather than being absorbed as is the case with normal neutrons. "These ultracold neutrons behave like a gas - we can count them, observe them, and store them at the end of the tube," points out Professor Plonka-Spehr, who holds a junior professorship at the Institute of Nuclear Chemistry established early this year by the Carl Zeiss Foundation especially for this research project. The specialized press was particularly impressed by the research into the deceleration of ultracold neutrons after their emergence from the deuterium crystal. 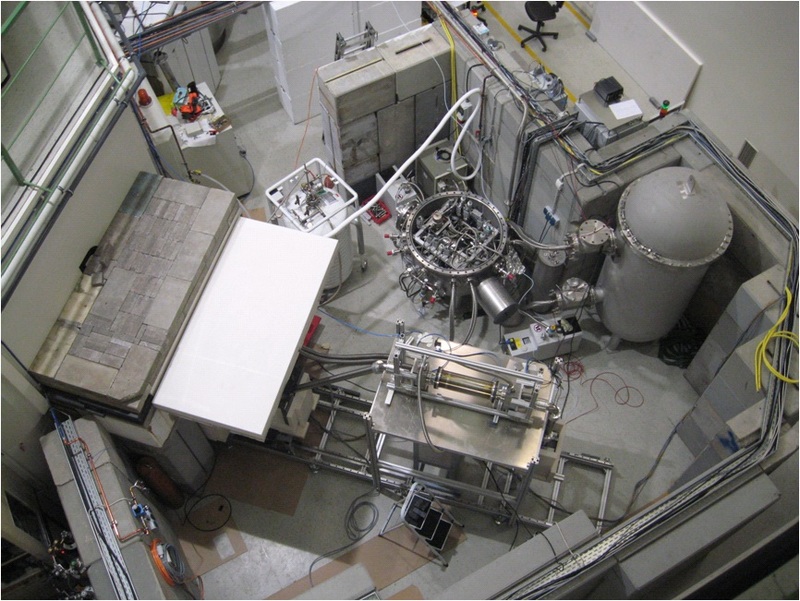 "Thanks to these results obtained using the TRIGA reactor in Mainz, we can now optimally adapt our experiments to the UCN source," explains Plonka-Spehr. Further improvement will be provided by means of a newly installed helium tank, which has been recently installed and contains 1,500 liters of liquid helium at a temperature of about minus 270 degrees Celsius. "The tank is like an enormous thermos flask that will provide us, for days and even weeks, with the liquid helium required to cool the deuterium crystal at the end of the extraction tube." With this supply in place, the team will be able to perform future long-term experiments with ultracold neutrons. Such longer-term experiments, which will run over a span of several weeks, are important, for example, in determining the natural life span of neutrons. Neutrons have a half-life of about 15 minutes, then they decay. The life span of neutrons played an important role in the emergence of the first elements immediately after the big bang and had a decisive influence on the prevalence of the lightest elements in the universe. "Our research into the life span of the neutron has produced contradictory results to date. We are hoping that, with the data registered using our UCN source, we can achieve greater clarity." 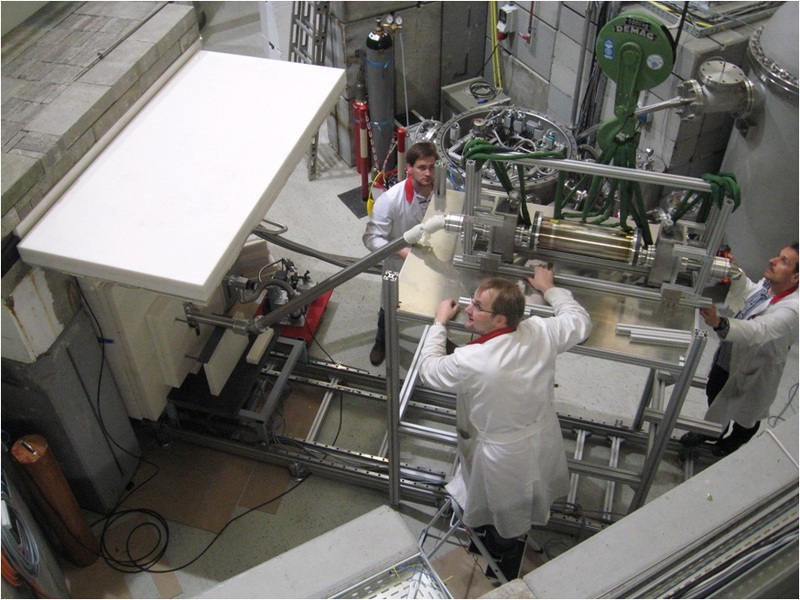 In collaboration with a team of Russian researchers, Plonka-Spehr and Professor Werner Heil from the Institute of Physics at Johannes Gutenberg University Mainz plan to launch a project beginning in 2009 to study the life span of the neutron using the Mainz reactor of the UCN research facility. 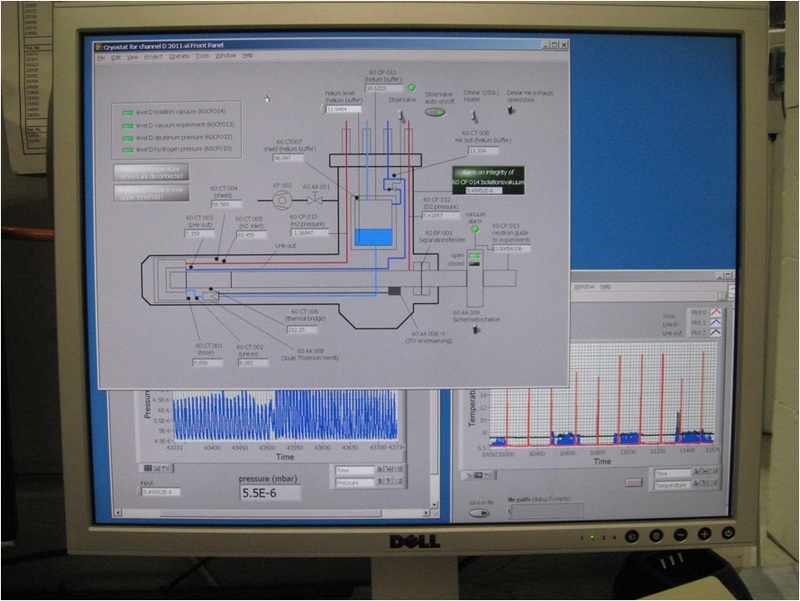 From 2009, a second tubing system for UCN experiments will be available, which will create even more opportunities for new research and provide for considerably more flexibility. This will be to the benefit of a collaborative venture between the physicists in Mainz and the researchers at the Paul Scherrer Institute of Villigen in Switzerland. The researchers there are embarking upon a highly sensitive experiment to determine whether the neutron has an inner nuclear charge distribution: This might explain why we only find matter, rather than anti-matter, in our current universe - although anti-matter was still present immediately after the big bang. 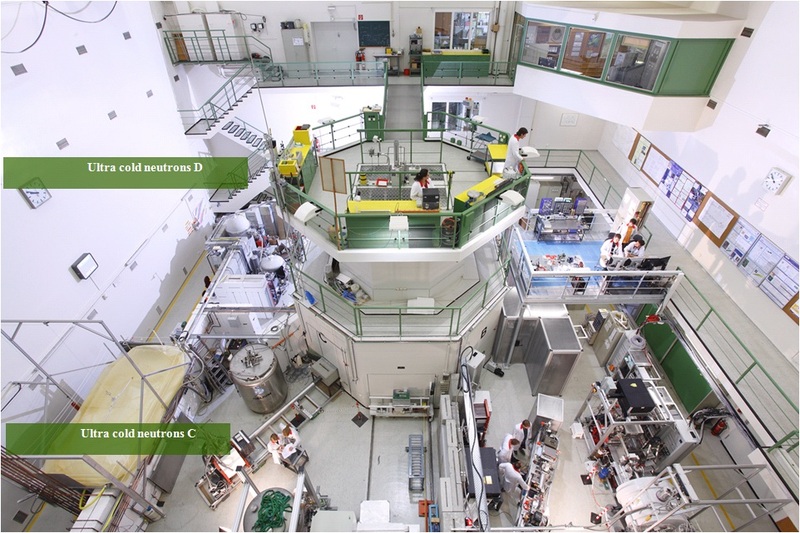 The high density of UCN that can already be generated at the Mainz research reactor will be further augmented by means of various technical innovations over the next few years. 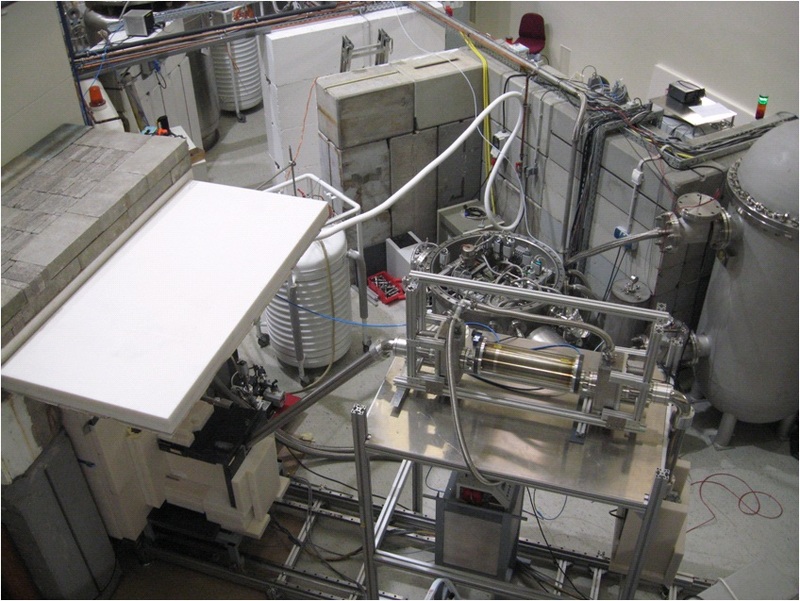 "This combination - a rapid pulse reactor and the generation of UCN in a fixed deuterium crystal at temperatures of minus 270 degrees Celsius, together with the option of filling the UCN storage flask in increments of a minute - represents an accomplishment that is unique worldwide, and has made possible the generation of densities of UCN higher that currently achieved elsewhere using this configuration," states Plonka-Spehr.